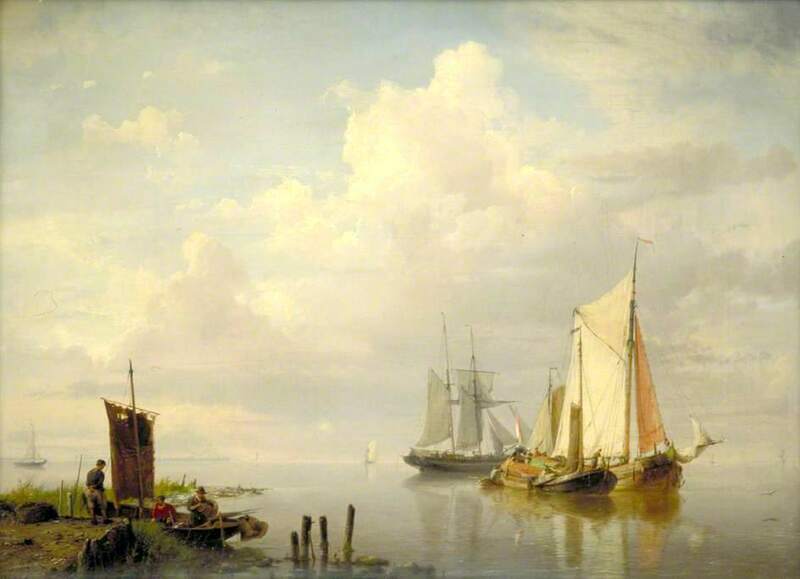 Hermanus Koekkoek – private collection. 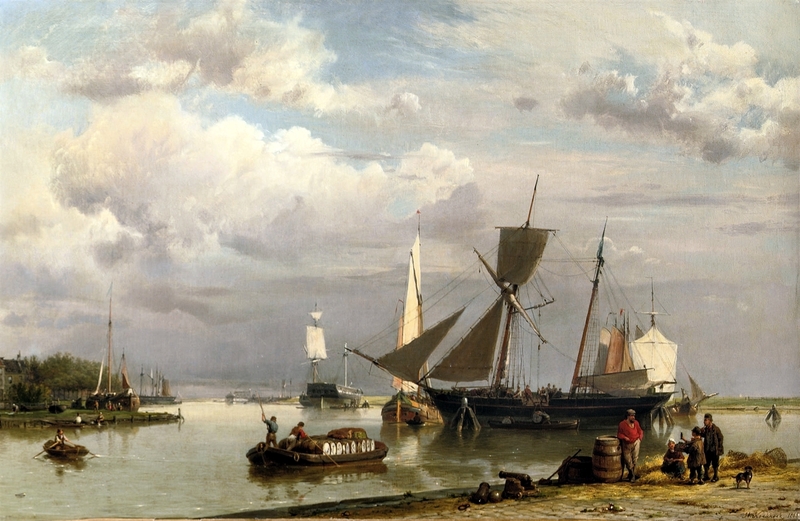 Title: Moored Sailing Vessels. Date: 1859. Materials: oil on canvas. Dimensions: 44 x 61 cm. Inscriptions: H.Koekkoek./1859 (lower right). 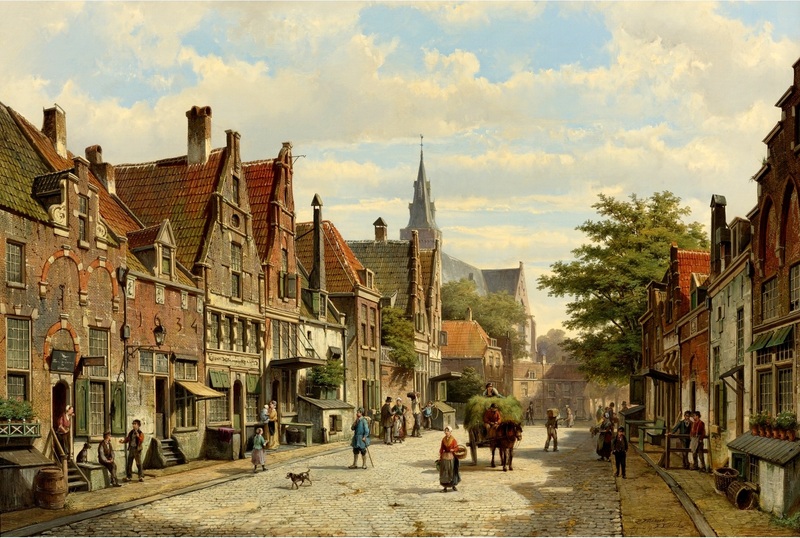 Sold by Christie’s in Amsterdam, on May 6, 2009.. Source: https://upload.wikimedia.org/wikipedia/commons/7/77/Hermanus_Koekkoek_(sr.)_-_Moored_sailing_vessels_(1859).jpg. I have changed the light and contrast of the original photo. 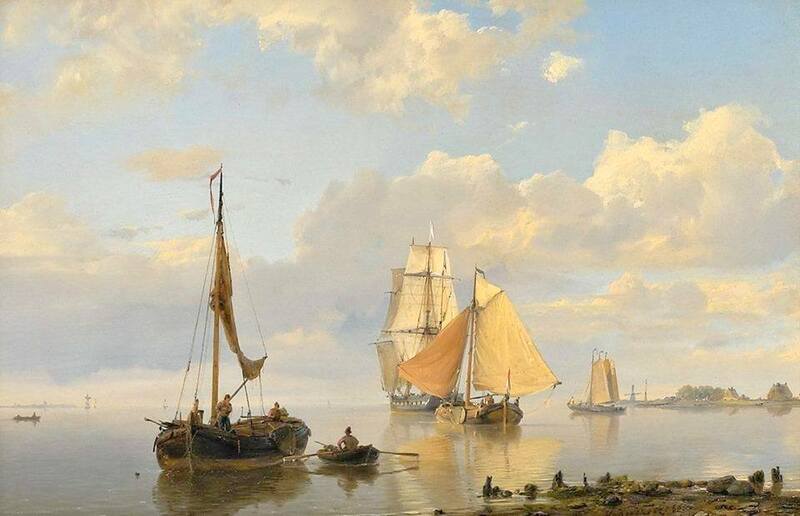 Hermanus Koekkoek – private collection. 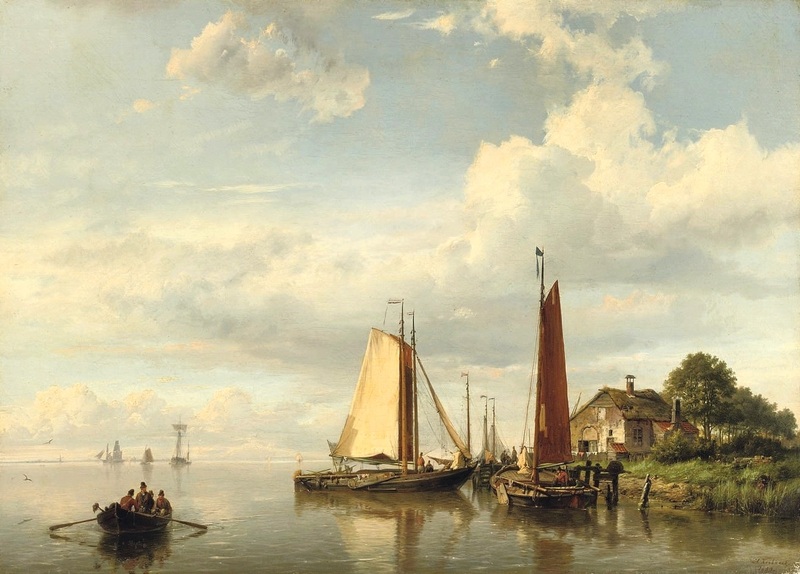 Title: Boats on the Nieuwer-Amstel river. Date: 1860. Materials: oil on canvas. Dimensions: 23.4 x 35.8 cm. Source: http://img.memit.com/1031260/42bfd4e21fbb206ea87bbeb67c886952.jpg. I have changed the light and contrast of the original photo.